The Deco Pro is a powerful high performance boundary monitor, perfect for use in both professional theater installations and anywhere high quality audio from a wall mounted speaker is required. The rigid cabinet is designed to be mounted on the wall and the front baffle is angled downward to allow for elevated placement. AFCONE ELECTRONICS & SPEAKERS IND. SUPERB & HIGH QUALITY. 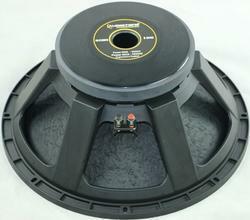 WOOFER SPEAKERS SIZE :- 8" MODEL :- AF 880 MAGNET :- 120MM WATT :- 100/200 AFCONE ELECTRONICS IND. High Power 12" Neodymium, 4" VC , 600Watt, Midbass suitable fror Line Array applications, 2 way DJ and Live applications. 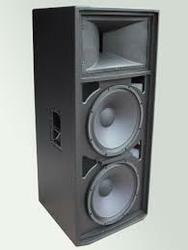 we are well known for QD Audio SRX728 speakers. these are highly durable and exhibits fire and corrosion resistant properties. these can also be customized based on varying customer specifications and available at economical prices. Owing to the hard work of our team, we are accomplished to offer a wide range Wireless Lapel to our respected patrons. Prompt Audio Visual Pvt. Ltd.